KidsPost contest: Which endangered species would you save? 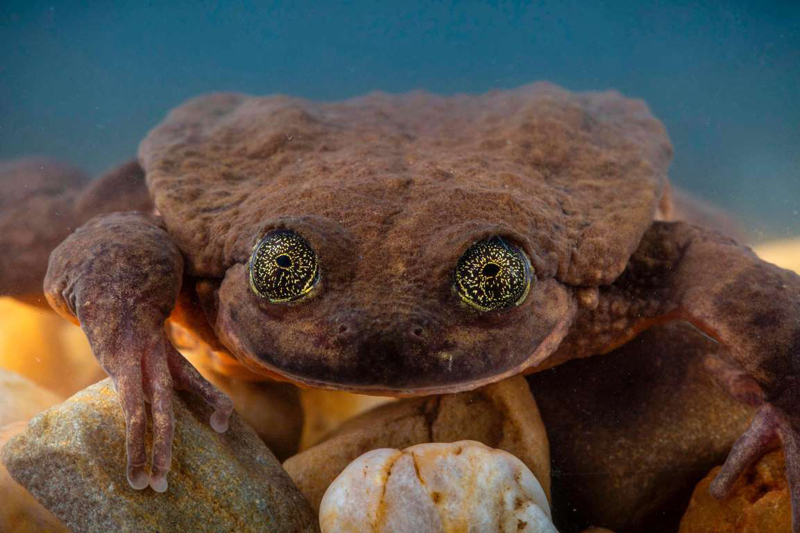 © Robin Moore/Global Wildlife Conservation via AFP/Getty Juliet, a Sehuencas water frog recently discovered in the wild in Bolivia, explores her new home at the Museo de Historia Natural Alcide d’Orbigny in Cochabamba. No frogs of this species had been seen in the wild in 10 years. When we ask readers what they love to read about, the topic that is mentioned over and over is animals. We’ve written about animal babies, service animals, animal actors and heroic animals. We’ve also published stories about another group of animals: those that are endangered. We would like to hear from you about that last topic. If you could save only one endangered species, which would it be and why? Students in grades two through seven are invited to send us their answers in no more than 30 words. We plan to feature some answers in a future issue of KidsPost. Those who submit an answer at wapo.st/kidspost_animals with no incorrect information will be entered in a raffle. Three names will be randomly chosen to receive prizes from KidsPost and Global Wildlife Conservation, including a book, rainforest-friendly tapir chocolate, an animal plush toy and a framed photo by Robin Moore, a wildlife photographer. A parent, guardian or teacher must provide contact information and give permission for the student’s answer, name, grade and school to be used in KidsPost. Entries are due by March 8. One entry per child. Jobs: KidsPost contest: Which endangered species would you save?